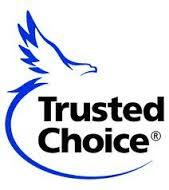 The Insurancenter stands as one of the leading insurance solutions providers in Southwest Florida. While we cover all major cities, including Fort Myers, Naples and Port Charlotte, our cornerstone territory is beautiful Cape Coral. As one of the fastest growing cities in the Florida with great economic potential and over 27 miles of stunning shoreline, Cape Coral is a veritable piece of paradise. Situated in Lee County on Southwest Florida’s stunning Gulf Coast, Cape Coral gives you all the good reasons to call it home. The city has been growing rapidly ever since its inception in the late 1950s. In fact, Cape Coral stands as the 11th largest city in Florida in terms of population. The history of Cape Coral is as beautiful as the city itself, making it one of the best places to buy a home. It was founded in 1957 when Leonard and Jack Rosen acquired 103 square miles of undeveloped swamp land known as “Redfish Point” for $678,000. Their vision was to create a city like no other. Development began in 1958 as a master-planned community, one of the largest to date. The development attracted numerous families and individuals looking for a better standard of life. Gulf American Land Corporation, the company responsible for the development, used to operate a fleet of single-engine Cessnas that would show prospective residents around the property. Legend has it there was even an amphibi-car designed to offer tours of the “Waterfront Wonderland”! Eventually, Cape Coral was connected to neighboring Fort Myers via the Cape Coral Bridge built in 1964 and the Midpoint Memorial Bridge built in 1997. Due to the serenity of waterfront properties and friendly community of people looking for a peaceful life, Cape Coral became one of the favorite places for retirees looking for a comfortable life. Throughout the decades that followed, the population continued to grow, creating more construction related jobs for younger people and families on the lookout for better opportunities.Cape Coral’s population has surged from 100,000 to nearly 170,000 in the last 15 years alone. Since its inception, the city also attracted many celebrities. It remained home to a number of TV shows, and hosted a plethora of pageants, festivals, tournaments, and boat races. Cape Coral was planned to become a community of dream homes and has lived up to that promise. It offers a diverse range of housing options for people with varying needs, a fact that has always kept the market in an upward swing. Most of the homes built initially were constructed upon the standard grid that is part of the original master plan. However, it is not unlikely to find newer, more modern, and relatively bigger homes close by. Big or small, new or old, there has always been a demand for homes in Cape Coral. As a matter of fact, the development actually picked up pace after the 1990s, and that is why most of the homes in Cape Coral are new rather than old. This is good news since homeowners insurance is usually less expensive for newer homes. However, obtaining competitive homeowners insurance for older homes in Cape Coral is also very possible. All you need is a credible Cape Coral Home Insurance Partner who knows the market and represents multiple insurance carriers. Cape Coral homeowners have a multitude of options available when purchasing homeowners insurance. However, don’t forget the importance of finding an insurance agency that can provide you access to all those available options. That is precisely what we do at Insurancenter. We have an entire array of comprehensive and competitive homeowners insurance policies for any home you own or would like to purchase. Standing as the leading insurance consultants in Cape Coral, we’ll help you find a custom-tailored insurance policy for your dream home. We know the industry better than anyone else. We have been serving homeowners since 1985. We can also provide helpful information about which properties are best from an insurance point-of-view. Just ask!There is no obligation and we truly enjoy helping others through our insurance knowledge and experience. If you’d like to request a FREE, no obligation Cape Coral Home Insurance quote, our online quote questionnaire takes just a few minutes to complete. We’ll have a personalized quote back to you within a few short hours. As an independent insurance agency representing over 30 different home insurance carriers (listed above), we guarantee the best option for your Cape Coral home insurance. In fact, our clients save up to 37%! If you get a lower quote from another agent through one of these carriers, call us right away! This is a common RED FLAG that indicates a potentially serious gap in coverage. Click the “Free Cape Coral Home Insurance Quote” button below, or give our agency a call today at (239) 489-2838 or toll-free at (800) 256-7882.